We’re only at the beginning of the month and already you’re feeling the pressure of the Christmas season. You’ve got hundreds of Christmas party invites to reply to, school Nativity plays to attend, Christmas shopping to sort out, and that all-important turkey to buy before they are all sold out and you’re reduced to having a Christmas chicken instead! This time of year, although exciting, can become a little overwhelming and the last thing that you have time for is the domestic cleaning. Every spare minute of the day, you’re baking mince pies and wrapping presents, so you never have time to clean the place up and vacuum the floors. That is where a domestic cleaning company can really help out. These house cleaners are experts in dealing with a huge range of domestic cleaning London. Whether you want the house cleaners to come in on a daily or weekly basis, or for one off cleaning service, they can really work their magic to leave you with a spotlessly clean home in time for the dinner you’ll be hosting for all your family and friends on Christmas Day. 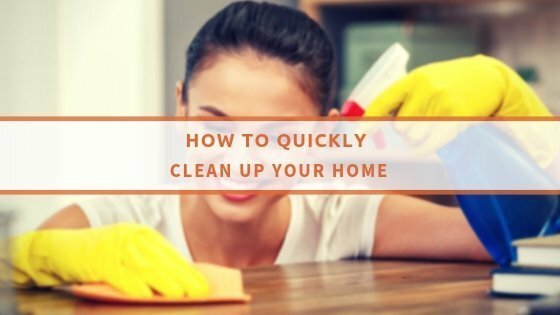 Domestic cleaning companies can tackle any cleaning duties and focus on specific rooms of your choice, including cleaning the bathroom, wiping down all the surfaces in your kitchen and cleaning your oven, dusting the display cabinets in your dining room, and vacuuming the sofas and cushions in your living room. You name it; the professional cleaners can handle it! And at affordable cleaning rates, so you won’t even have to cut into your Christmas budget. If you would like to know more about what is involved in our domestic cleaning service then do not hesitate to call us on 020 8884 9146. Our support staff will answer any questions and provide you with a free quote. You can also book a cleaner online to GET £10 OFF DOMESTIC CLEANING!